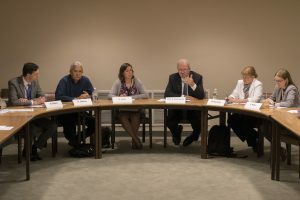 Pace University’s International Disarmament Institute co-hosted a panel on positive obligations in the Nuclear Weapons Ban Treaty on 21 June at the UN. 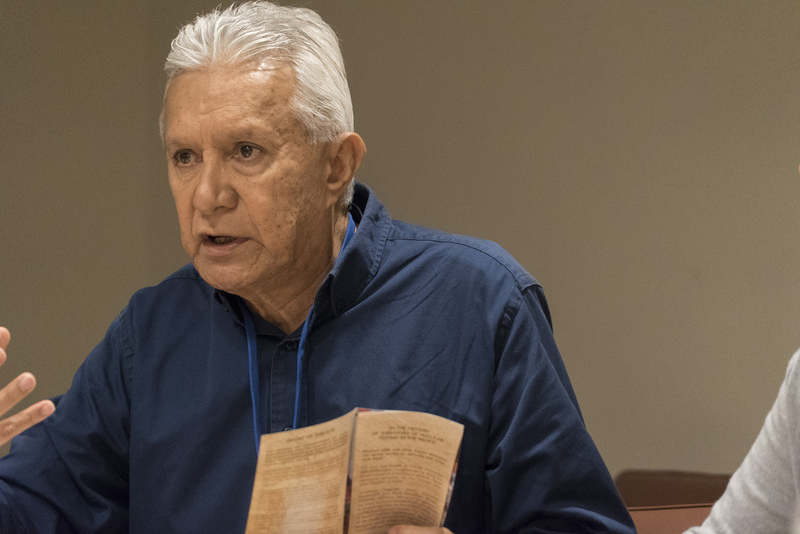 Roland Oldham, president of Moruroa e Tatou, an association of victims of nuclear testing in Tahiti, spoke of the struggles people face in French Polynesia to have their rights recognized and medical and psycho-social needs met. He offered examples of his association’s work doing risk reduction education and called for the treaty’s victim assistance provisions to be rights-based and include the active participation of victims themselves. Erin Hunt of Mines Action Canada offered analysis of the victim assistance provisions in the current draft treaty, calling on states to strengthen the rights-based framing by removing the “in a position to do so” loophole and ensuring that there is clear indication that victim assistance with be non-discriminatory. She also indicated that the eventual treaty should elaborate in more detail the principles and mechanisms for implementation, including national action plans, budgets, focal points, standards and the participation of victims. Bonnie Docherty of Harvard Law School’s International Human Rights Clinic then elaborated on how the treaty’s provisions on environmental remediation also needed to be strengthened. In particular, the treaty needs to establish clearer legal responsibility for how such remediation (and victim assistance) will be managed, placing primary control and responsibility with affected states. But to make sure the burden is shared, the treaty needs robust international cooperation and assistance provisions to address humanitarian harms. She suggested that the treaty could have language encouraging states that have used or tested nuclear weapons bear especial responsibility for providing cooperation and assistance. Nothing in the current draft, nor in the her recommendations, would preclude affected states from pursuing redress through other peaceful measures. In order to promote the humanitarian, human rights and environmental norms of the treaty, Elizabeth Minor of Article 36 called for provisions that encourage states to promote the norms, condemn violations, educate the public and raise awareness of the treaty. She also suggested such provisions could enable civil society to monitor implementation. The event was chaired by Dr. Matthew Bolton, director of Pace University’s International Disarmament Institute. His analysis of how to strengthen the treaty’s positive obligations can be found here. The side event was featured in the Nuclear Ban Daily; to read the write-up, click here.